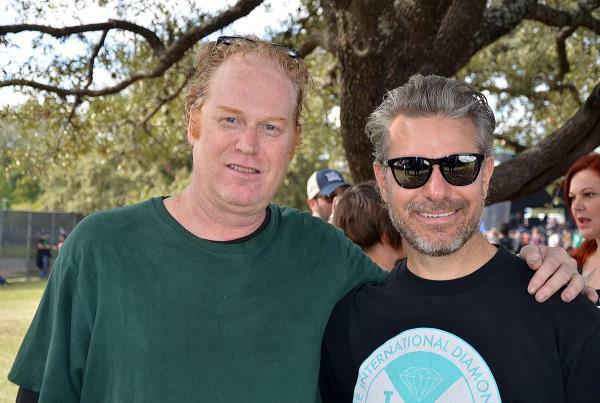 Fun Fun Fun Fest requested the services of The Boardr so Ryan and I were in Austin, Texas to help coordinate some skateboard events this past weekend. There was a wide variety of musical acts. We're talking from Snoop Dog and MIA, to Slayer and The Descendents. 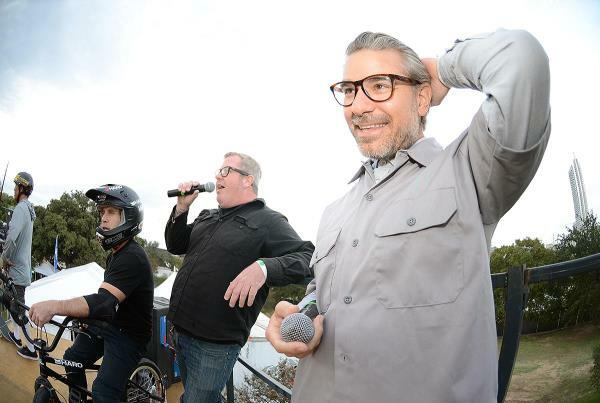 Not to mention there was also comedy, wrestling, and of course skateboarding. I went there with camera in hand to document the festivities. 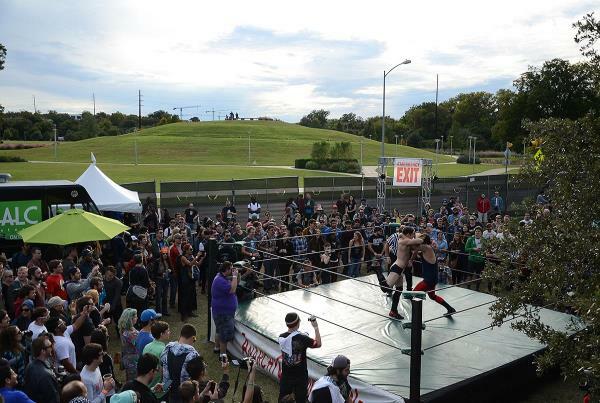 The venue for the Fun Fun Fun Fest was located in a park overlooking the Austin skyline. 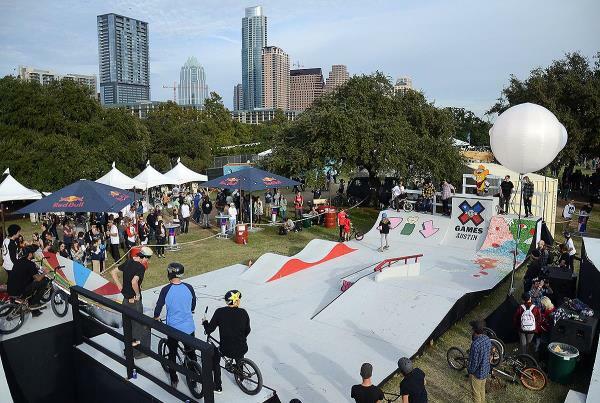 There were three stages, a comedy tent, and a skate area that consisted of this mini-park, jump ramp, mini-ramp, and vert ramp. The jump ramp was popular amongst those riding BMX. It was layerd with plywood so the skaters weren't really riding it. 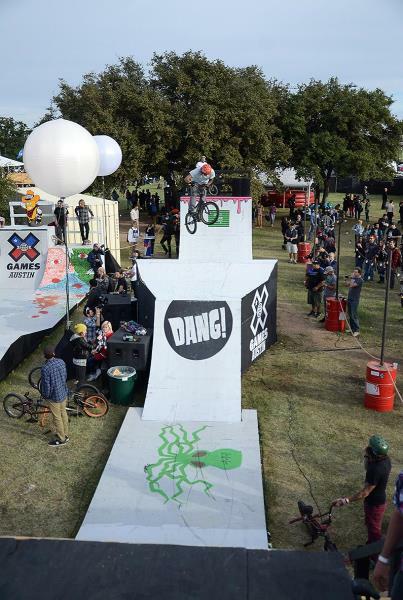 Here is the mini-ramp where we hosted some Demos and Best Trick Contests. 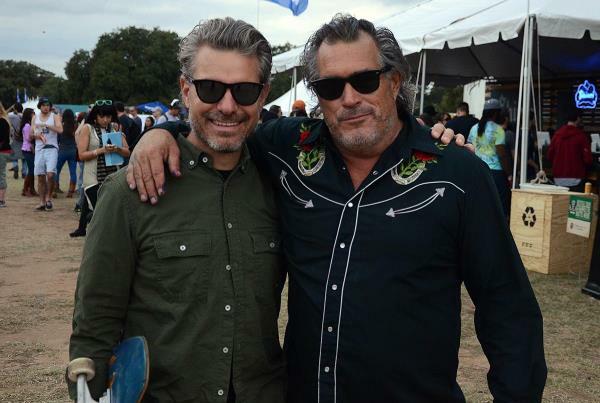 Brent Humphreys from Project Loop is one of the people behind the Fun Fun Fun Fest. 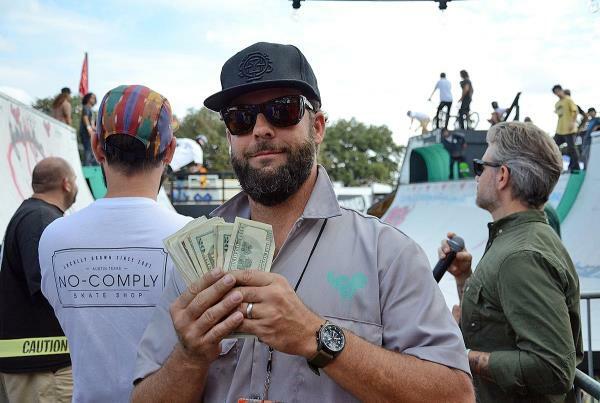 He is holding up some of the money we gave away during the "Sunday Bloody Sunday" Jam Presented by Thrasher Magazine. 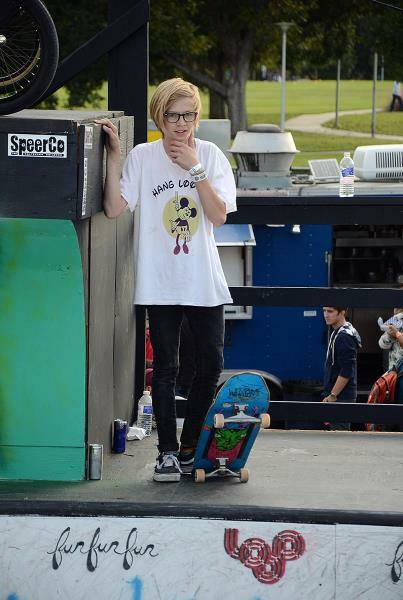 I never got this kid's name, but with the glasses and shape of board he rides it reminds me of a young Ryan Clements in the making. Cody Lockwood rips. Here he is doing a nosegrind tailgrab out on the monster extension. Raney Beres popped up onto the deck of the extension and rode right off like it wasn't a problem. 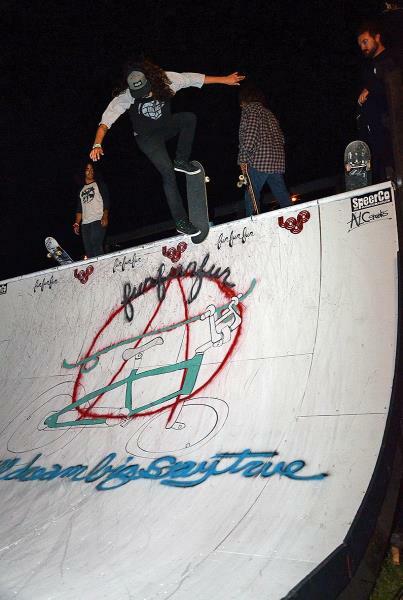 Cody Lockwood was skating into the night. He has so many different blunt variations. We had him do 10 different ones back to back for some money. Here he is doing a backside noseblunt. 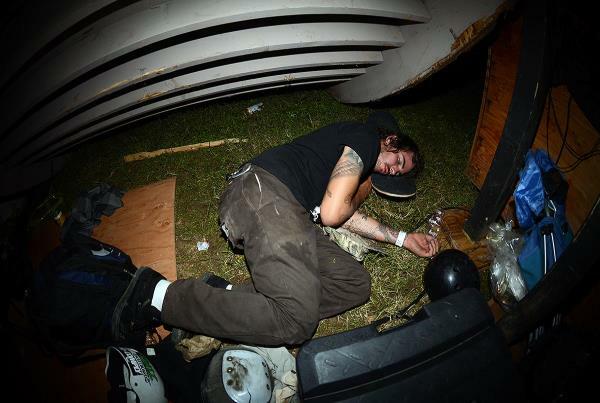 Not surprised to find a ramp troll sleeping underneath the mini-ramp. 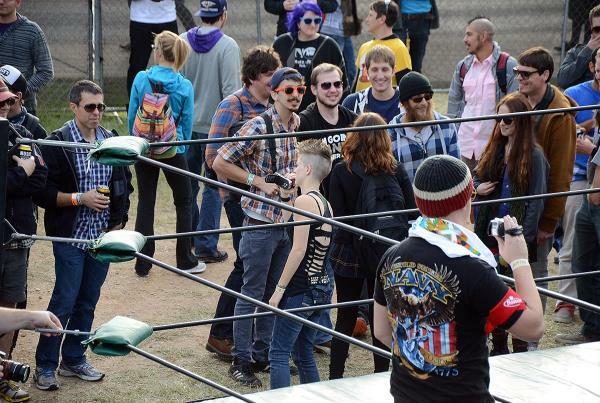 ACW or Anarchy Championship Wrestling was a hit at the Fun Fun Fun Fest. I don't know what was better, the actual wrestling or their media team. 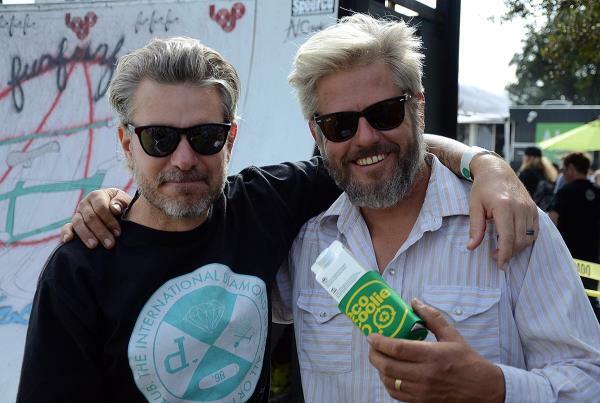 Steve Crandall and Ryan Clements were holding down the announcing during the Matt Hoffman and friends Vert Demo. 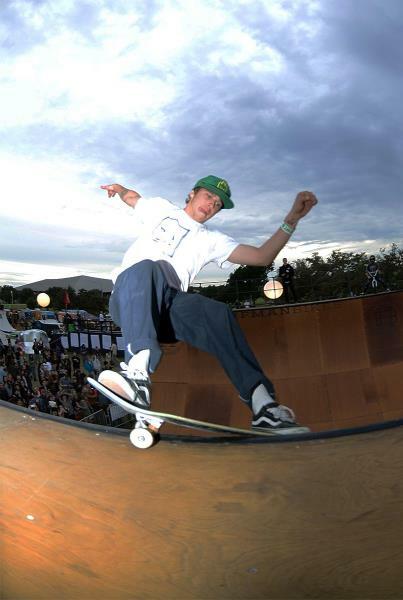 Raney Beres with no pads skating vert doing a smith grind. Classic. 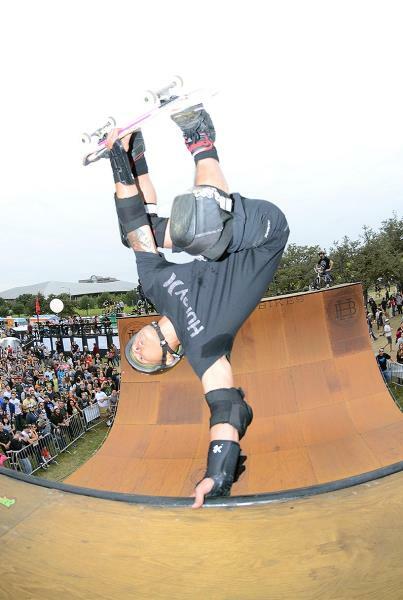 Hey kids, get a little skate history lesson and google Lester Kasai. Good thing Ryan was there or I wouldn't have any idea who he was. Elliot Sloan had the metal weekend of his life. Not only did he get to see Lamb of God in Hollywood on Friday night, he got to see Slayer on Sunday night at Fun Fun Fun Fest. He did his part, nailing this huge 540 tail grab to end the Demo. 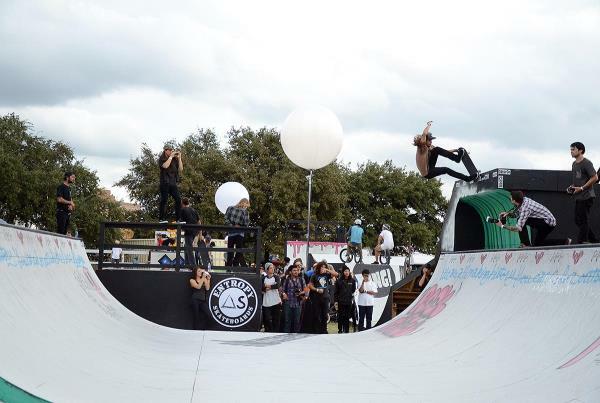 PLG and Sergie Ventrua with the ultimate demo pleasure doing a doubles vert run. 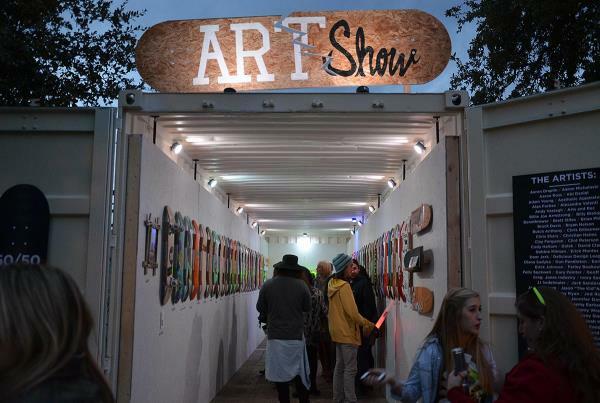 There was a trailer that was transformed into a mini art gallery featuring work from some of skateboarding's finest artist. As you can see, Steve Olson has influenced Ryan Clements' recent makeover. 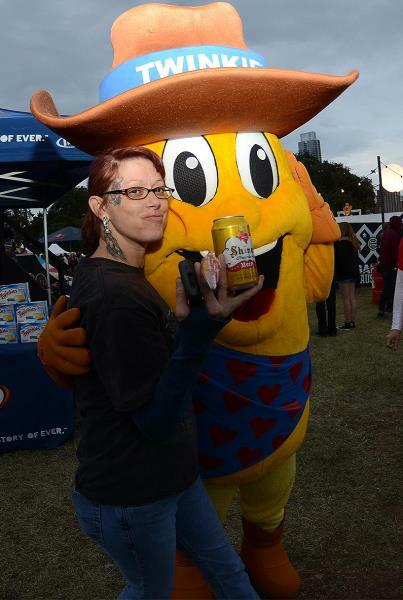 Steve was at Fun Fun Fun Fest spreading the love of art to the masses. Next to Ryan is not his twin brother, it is DJ Lee. 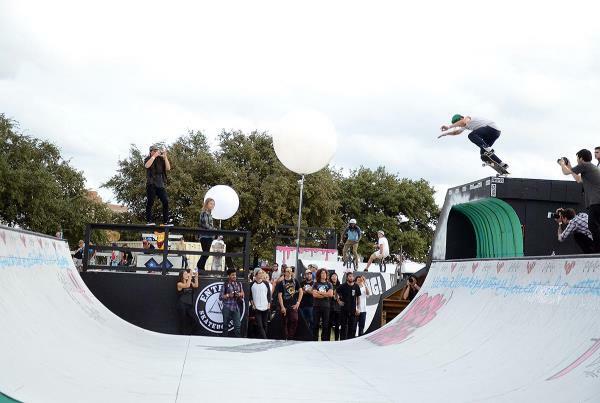 He held down the music during the Vert and Mini-Ramp Demos along with some pretty entertaining guest commentary. I am not sure if you are aware of this, but Twinkies is making the sweetest comeback ever. Clements is feeling the comeback. I'm pretty sure he ate over 20 Twinkies throughout the weekend. 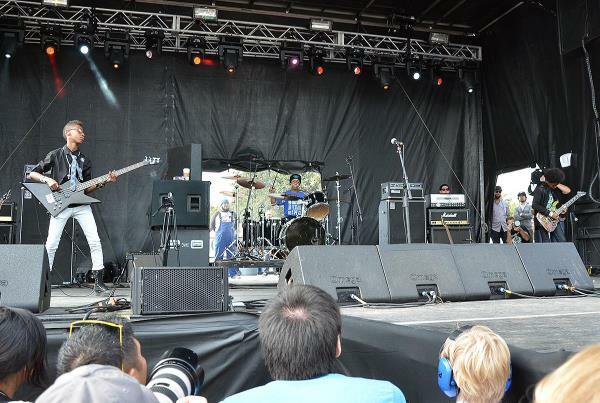 In between Demos I was able to see this band called Unlocking the Truth. These kids are the future of metal. 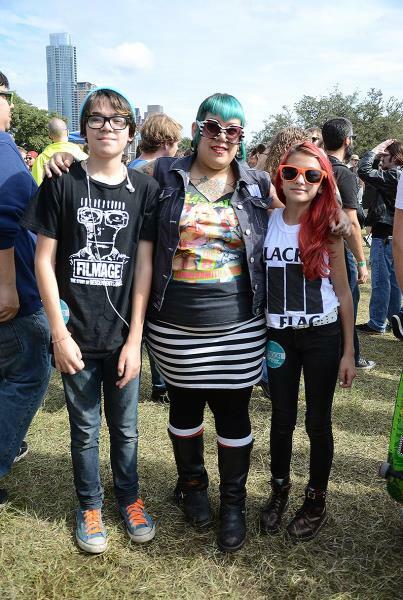 Here is a punk family that were fans of Unlocking the Truth. 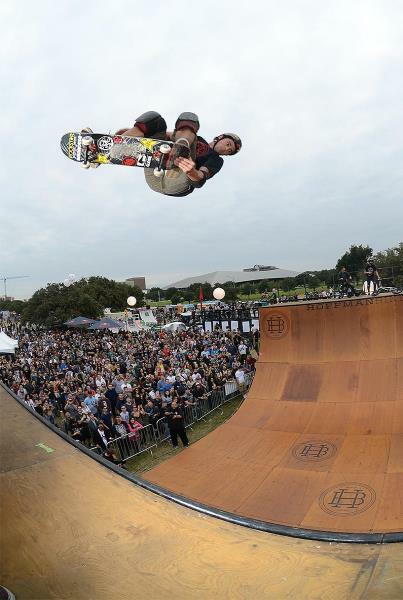 John Gibson is a Texas skateboard legend. Clements grew up watching him skate and was stoked to see him. 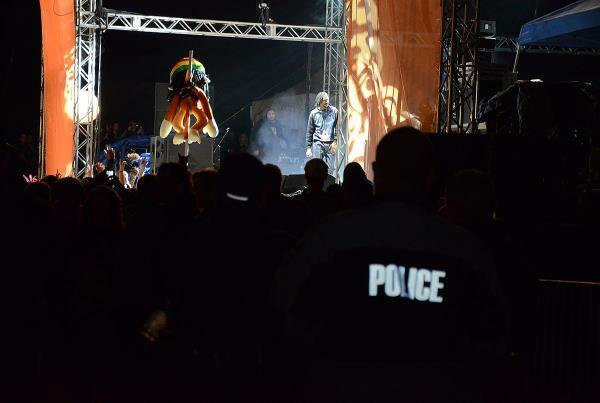 I wonder if Snoop finds the rasta dreaded monkey to be offensive. 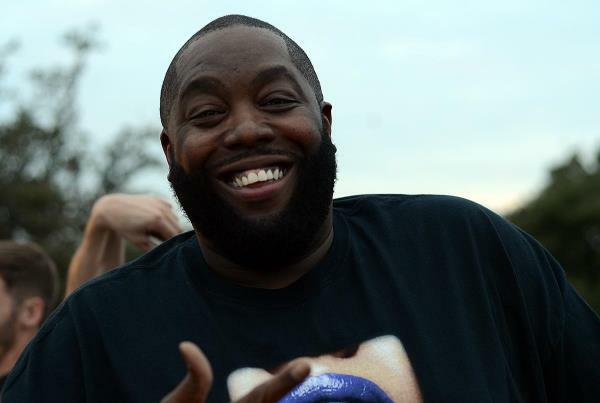 If you were at Tampa Am a couple years back you know that Killer Mike puts on one hell of a show. 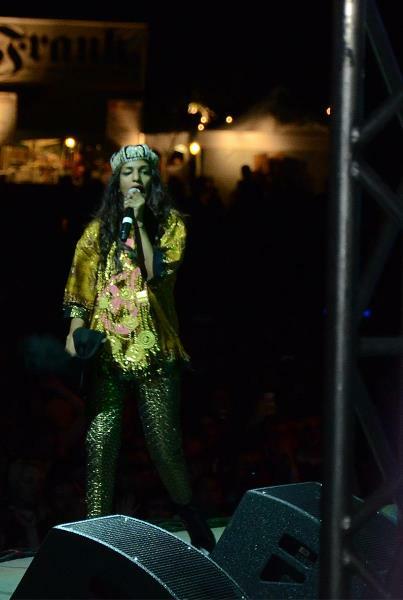 MIA played a solid set. Wish I would have gotten a better photo. 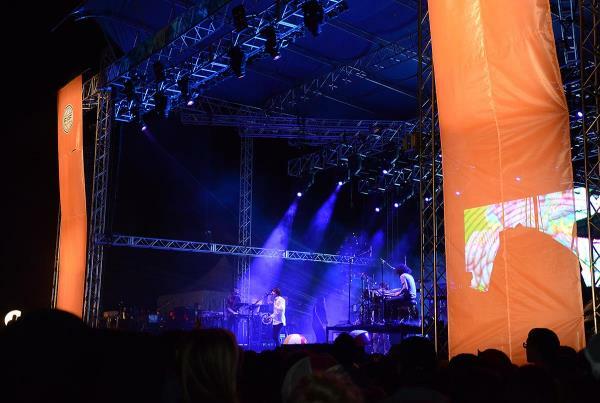 MGMT at Fun Fun Fun Fest 2013. 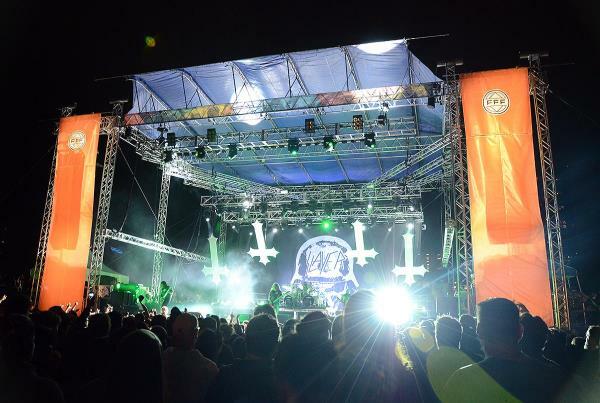 Slayer was a great ending to Fun Fun Fun Fest. Looking forward to seeing what they have in store next year.